A penalty in added time prevents the Monegasque team's victory, which went ahead with goals from Gelson Martins and Falcao. A penalty converted in the time added by Andy Delort prevented the Monaco victory in Montpellier (2-2) in a match in which he had the victory in hand thanks to two goals from the Portuguese Gelson Martins and the Colombian Radamel Falcao. 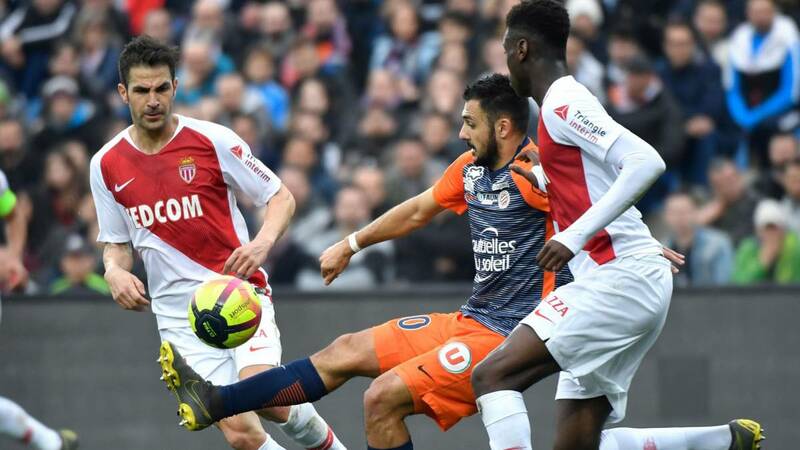 In the match of the twenty-fourth day of Ligue 1, the team of Leonardo Jardim maintained the improvement evidenced last week, when it won at Toulouse. In fact, he had the controlled duel in Montpellier ante a rival who has only lost four games so far this season and is installed in European positions. Gelson Martins, on loan from Atletico Madrid, ahead of the Monegasque team at quarter-hour. Monaco reached the intermediate with advantage, but at the time of game Gaetan Laborde established the tie. In the final stretch Jardim's team regained control. He had chances and went ahead again in the 82nd minute thanks to Falcao. However, one of the last actions of the game prevented the visitor victory. A foul in the area of the Polish Kamil Glik on Serbian Petrar Skuletic was a penalty that transformed Andy Delort. The tie leaves half of the intentions of both. The Montpellier, which is close to third place in Lyon, and Monaco, still third in the table, in the promotion area. In addition, Nimes completed a resounding comeback (2-4) in the stadium de la Beaujoire de Nantes, who reached the halftime with 2-0 in their favor a bit of the Malian Kalifa Coulibaly and a penalty converted by the Ghanaian Majeed Waris in the minute 38. Everything changed in the second half, when the Nimes took every opportunity He had to turn the situation around through the Belgian Baptiste Guillaume, Antonin Bobichon, Jordan Ferri and Sada Thioub. The Toulouse, with a goal from Max Gradel nine minutes from the end, prevented his defeat against Reims, who took advantage at the start of the second half thanks to Remi Oudin in the match played at the Stadium of Toulouse (1-1) .